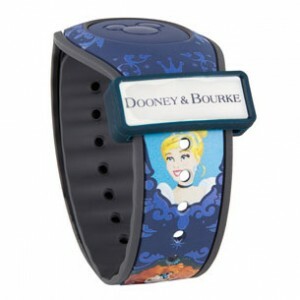 Another Dooney & Bourke themed band featuring the Disney Princesses – with a limited edition size of 500 – will be available during the Disney Princess Half Marathon Weekend for $48 plus tax. A Black Panther-themed MagicBand – with a limited edition size of 2,500 – will be released online and in stores on February 16 with a retail price of $32.99 plus tax. And finally, other releases for this month include MagicBands inspired by The Lion King, The Little Mermaid, and The Nightmare Before Christmas. These MagicBands will be available beginning February 12 online and in stores February 16.